Sol-Vex gloves won’t swell, weaken, or degrade, and they offer better protection against snags, punctures, abrasions, and cuts. 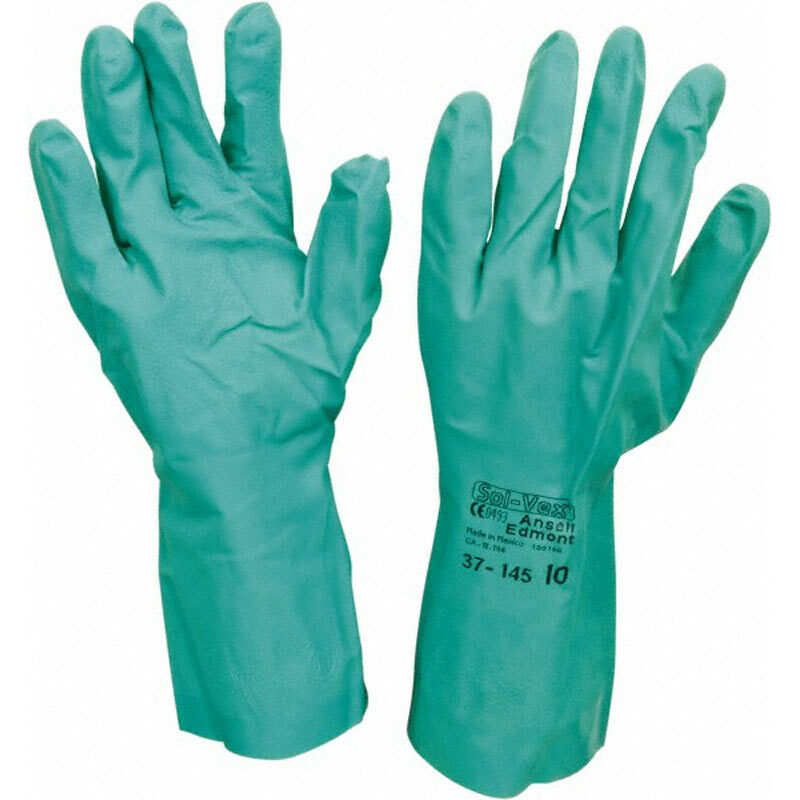 Our pair of green Sol-Vex® gloves are made of a high-performance nitrile compound which provides an outstanding combination of strength and chemical resistance. They have proven to be a superior choice over rubber or neoprene when exposed to aromatic and petroleum solvents, as well as caustics and animal fats. Curved finger design and contoured palm that help reduce fatigue. Strong resistance to degradation ensures that gloves will not weaken or swell. Gloves are free of protein allergens and will not promote contact dermatitis. One pair. Left and right hand-specific. Powder-free. Straight cuffs. Color: green. Chemical processing, oil refining, petrochemicals. Food processing (red meat, poultry, vegetables, fruit, dairy, and canning). Machining operations using cutting oil and coolants, metal fabrication. Electronics (semiconductors, circuit board manufacturing). 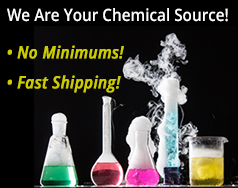 Is this the right protective glove for the chemicals you are handling? Click here to see our general guide chart for glove selection.